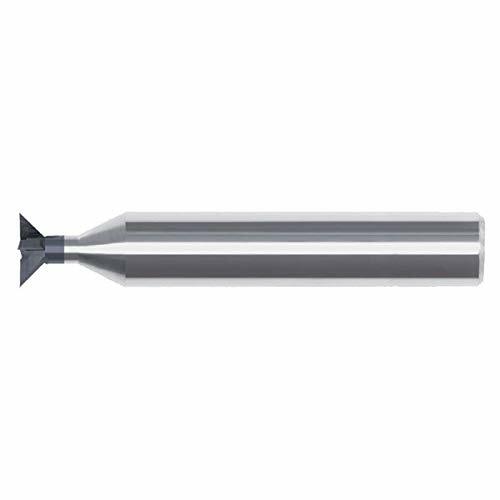 3/4 X 3/16 X 3/8 X 2-3/8 90 M42 (8%) Cobalt Double Angle Cutter ~ Double angle cutters are available with either a 60 or 90 included angle for milling a double angle cut in one pass. ~ M42 (8%) Cobalt. Double angle cutters are available with either a 60 or 90 included angle for milling a double angle cut in one pass. 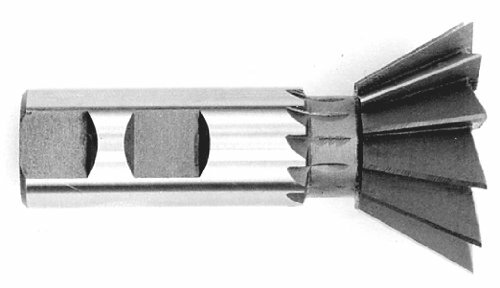 Cutter diameter is 3/4. ~ Cutter width is 1/4. 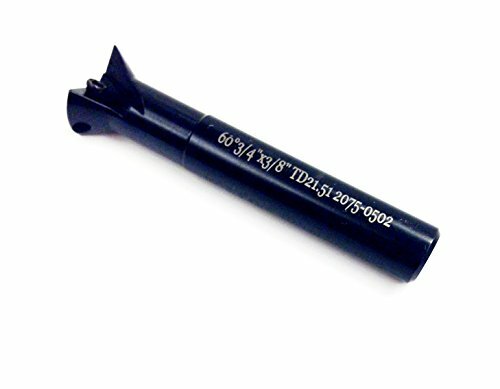 ~ Shank diameter is 3/8. 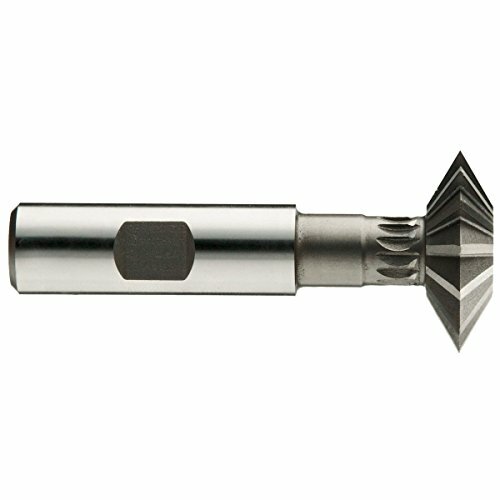 Drill America DWC Series Qualtech dovetail cutter designed for fast, efficient hole making. Dovetail cutters cut only that material necessary to produce a quality hole. High-speed steel tools are good for most general purpose applications, offering a combination of hardness and toughness for wear resistance. Weldon shanks feature a round shank with one of more flats machined into the side for easy indexing and alignment. Right-hand cut tools have a cutting action that engages when they are run in a clockwise direction. This is an Aftermarket Part. 60 included angle, Right hand cutting. 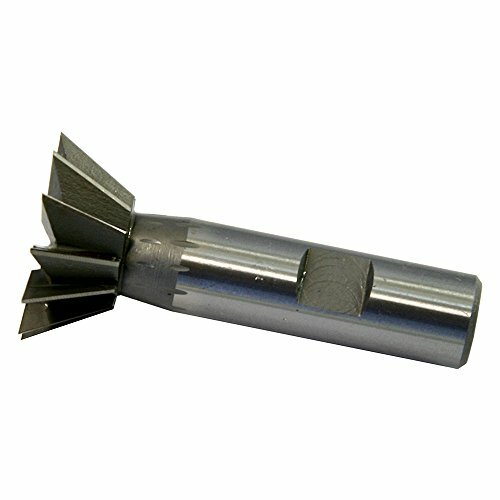 1 pc 60 degree dovetail cutter- 3/8" diameter x 3/8" Weldon shank x 3/16" width x 2-1/8" overall length. 3/8" 60 Degree High Speed Steel Dovetail Cutter ~ Right hand cut. ~ Shank diameter is 3/8". ~ Overall length is 2-1/8". ~ Width is 3/16". 1/2" 60 Degree High Speed Steel Dovetail Cutter ~ Right hand cut. ~ Shank diameter is 3/8". ~ Overall length is 2-1/8". ~ Width is 1/4". 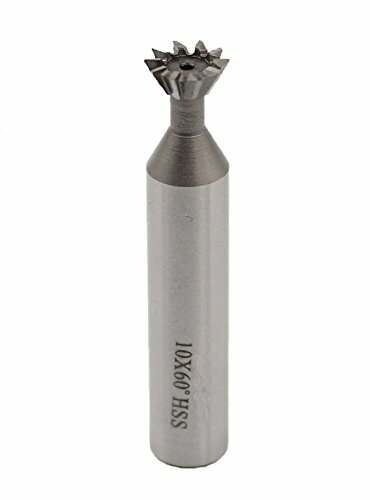 HHIP 60 degree index able dovetail cutter is ideal for milling roughing and finishing at high speeds and feeds. Right hand cut. 60 degree angle 15 degree clearance. 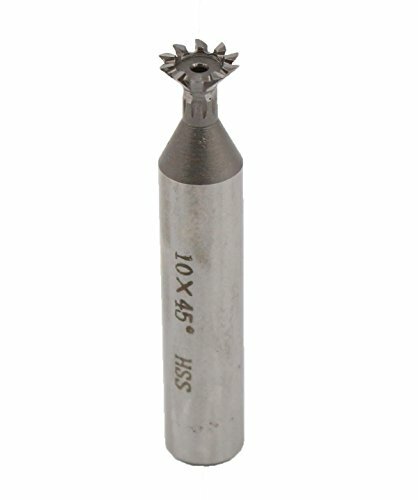 Use with TDEX carbide inserts which are not included. 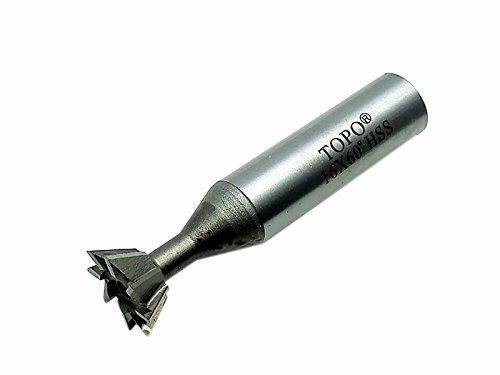 Product Specifications: Cutting Diameter D: 3/4; Shank d: 3/8; OAL L (Inch): 2.36; Cutting Depth F: 0.32; Height H: 0.375"; No. of Insert: 2; Use Insert: TDEX1102; Screw: M2.5X6.5. Weight (lbs. ): 1.0000. For milling roughing & finishing at high speeds & feeds. 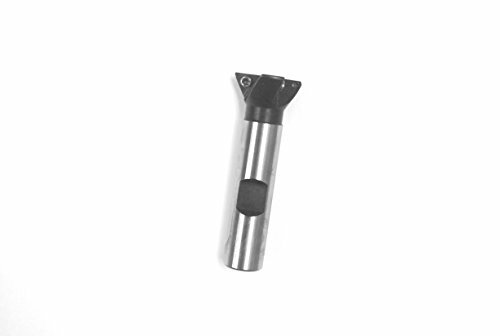 Use with TDEX carbide inserts which are not included. 3/16" cutting width. 2-1/8" overall length. 45 included angle, Right hand cutting. For cutting 45 degree dovetails. For cutting 60 degree dovetails. 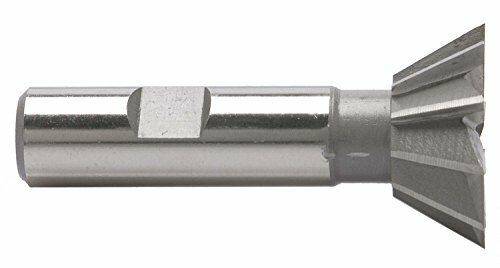 RedLine dovetail cutters are manufactured from premium carbide to optimize strength and durability and are proudly made in the USA. Our broad selection includes 30 , 60 , 90 and 120 solid carbide dovetail cutters in uncoated and AlTiN coated. HHIP 1" x 1/2" Shank 3 flute 60 degree index able dovetail cutter is right hand cut. 60 degree angle 15 degree clearance. 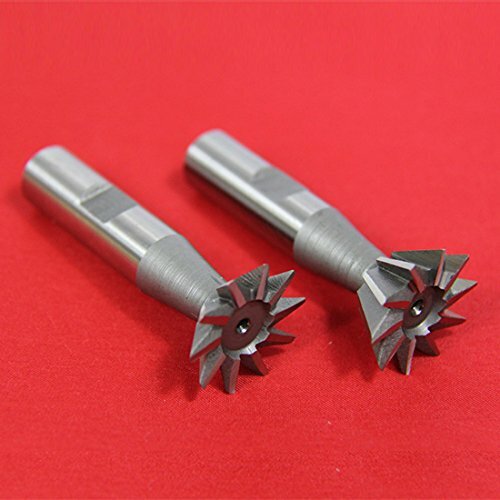 For milling roughing and finishing at high speeds and feeds. 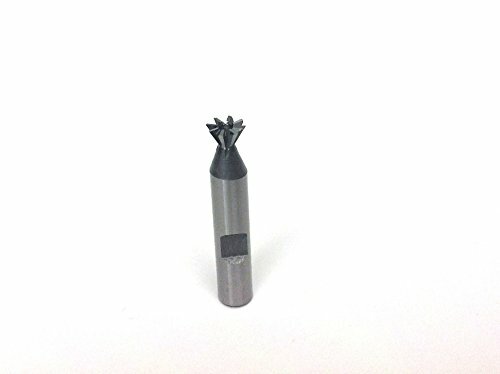 Use with TDEX carbide inserts which are not included. Overall length L is 2.36". Cutting depth F is 0.32". Height H is 0.375". Takes 2 TDEX1102 inserts. Insert screw is M2.5 x 6.5. Cutting diameter D is 1". Shank d is 1/2". 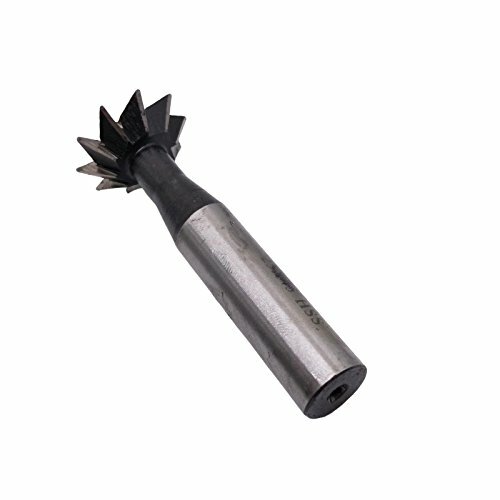 1 pc 60 degree dovetail cutter- 1" diameter x 1/2" Weldon shank x 7/16" width x 2-1/8" overall length.